Can you help with donations to be sent with our representatives to Haiti? 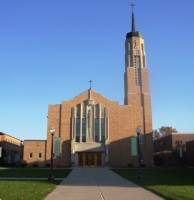 Eight people from St. Cecelia, St. Michael, and St. Joseph, Bode will be traveling to our Twin Parish, St. Jeanne de Chantal, Haiti. Father Ed Girres, Dave and Portlind Bjustrom, Juliana Bormann, Mariah Bronk, Kim Dahlhauser, James Quinlin, and Jeanne Reding will be joining a medical mission working near our twin parish, St. Jeanne de Chantal. We would like to send some additional supplies for our school and church with them. Please consider donating either money for these supplies or the supplies themselves. The supplies must be unopened and not expired. Items requested are; vitamins, Ibuprofen (Advil) or Acetaminophen (Tylenol) – in adult and children’s dosages, antacids (Pills please not liquid), antibiotic creams, silk tape, gauze sponges, disinfectant wipes, antibacterial hand cleanser. Those donations can be dropped off at the parish office. They will be leaving on January 21 and we would like to have the supplies by next Sunday, January 17th, packing day. We are thankful for all your donations and support that has made this program so successful over the last four years. Please remember to pray for their safe travels!